Advice, teaching, learning, seeking a deeper meaning, tradition, initiation, routine, ritual. Eagle is the courageous collector of spiritual knowledge. He holds the ability to connect to higher spirit teachers, rising above and beyond the material world. Eagle thrives in the realm of spirit, yet remains fixed in the realm of Earth. He’s sharp-sighted, and signifies rational thought. 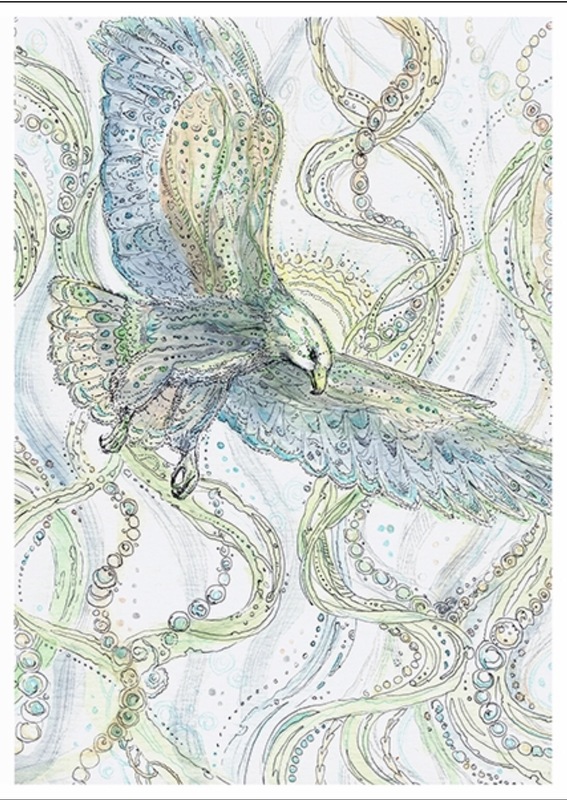 Moving gracefully through skies, Eagle will teach you how to conserve and use your own energy wisely. With the power of wisdom and observation, he demonstrates that you can still remain grounded while soaring toward divine wisdom. Eagle will assist you in refining your own spiritual power, which will increase your ability to rise above any current situation. This entry was posted in Artist, Deck Review, Featured Card of the Day, General Tarot, Readings and tagged Eagle, Paulina Cassidy, Shaman, Spiritsong, Tarot.